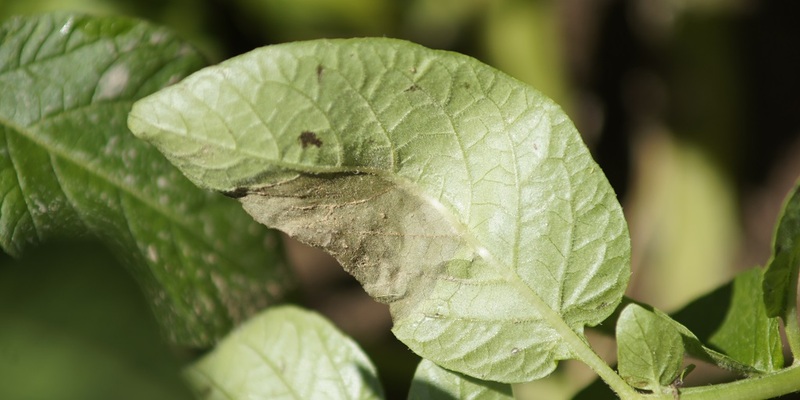 Late blight has been confirmed in potato fields in IL and WI. The infections were reported on the Syngenta late blight hotline on August 10th by Dr. Jaime Willbur of Michigan State University. Late blight thrives under cool, wet weather. The disease cycle may be interrupted during a dry spell, but will progress when damp weather returns. Orondis® Opti fungicide has activity against Phytophthora infestans, the late blight-causing pathogen Dr. Willbur references in the alert. With 2 powerful active ingredients, oxathiapiprolin and chlorothalonil, Orondis Opti provides excellent control of late blight. To subscribe for text alerts when Dr. Willbur updates the Syngenta late blight hotline, text “BLIGHTMI” to 97063.